A new triterpenoid saponin named pulsatiloside D was isolated from the roots of Pulsatilla campanella Fisch. ex Regel et Rilig. Its structure was established to be hederagenin-3-0-β-D-glucopyranosyl(l- 2)-β-D-galactopyranoside by chemical and spectral methods. The fresh flowers of Magnolia soulangeana Soul. were treated with microwave oven. Its aroma constituents were absorbed with XAD-4. This method can get the aroma constitu-ents faster and keep the flavor of fresh flowers. The differences on chemical components and yields of essential oils from three methods: treatment with and without microwave oven, and steam distillation were discussed. The resin of Dipterocarpus tubinatus Gaertn. f. native to the south of Yunnan (China) have been investigated. From which, six triterpenes--hydroxydammarenone-II (1), dammarenediol-II (2), betulonic acid(3), asiatic acid(4), 3,23-o-isopropylidene asiatic acid(5) and madasiatic acid (6) were isolated and established by means of spectral methods. Madasiatic acid was first isolated from the resin in Dipterocarpaceae. A new diterpenoid, phyllostachysin B(l) together with known compound phyllostachysin A were isolated from the ethereal extract of the leaves of Rabdosia phyllostachys (Buch-Kam. ex D.Don) Hara (Labiatae) collected in Yunnan, China. The structrue of (1) was established as 6p, II/β, 14/β-trihydroxy-15a-acetoxy-ent-kaur-16-en-20-aldehyde-7-one. Some species of Coleus (Labiatae) are used in Chinese folk medicine for the treat-ment of rheumatic arthritis, injuries from falls, catch cold, cough, tuberculosis, hemoptysis neurasthenia, snake-bite and scabies. 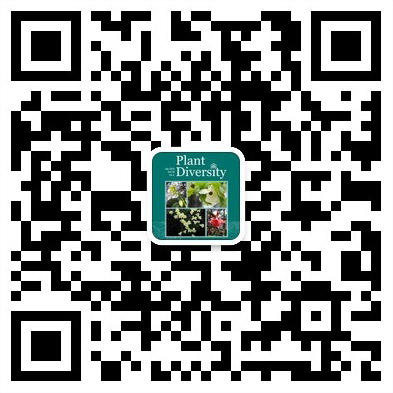 Searching for the active principles from this genus, we investigated Coleus xanthanthus C. Y. Wu et Y. C. Huang, an endemic plant to Xishuagnbanna of the Yunnan province. Eight compounds have been isolated from the methanol extracts of this plant by column chromatography on silica gel and preparative thin layer chromatography on silica gel. One of these compounds was identified as new constituent named as xanthanthusin A(l), which belongs to abietane quinone diterpenoid. The physiological active substances coumarin and oligosaccharins extracted from Dendrobium candidum and Panax ginseng were added into the medium (MS+5.0 mg/ 1 BAP+8 sucrose) to induce in vitro tuberization of potato. The effect were compared with those of adding chlorocholine chloride (CCC) on inducing in vitro tuberization. The results showed that when 100 mg/ 1 coumarin was added, the effect On amount of tuberization ap-proximated to the effect of using 500 mg/ 1 CCC. Shikonin production of Onosma paniculatum Bur. et Fr. callus was inhibited by combination of 2,4-D and NAA of lO-5mol/ 1 and lO-6mol/ 1 with lO-5mol/ 1 KT separately, and was not affected by combination of IAA with KT in concentration given. Glu-cose was more effective on shikonin production in callus than sucrose. An appropriate concen-tration of glucose and sucrose on shikonin production was 6 separately. Lactalbumin hydrolysate (LH) and casein hydrolysate (CH) inhibited production of shikonin in callus. When concentration of CH was bigger than 0.02, the growth of callus was inhibited. LH had no obvious effects on callus growth. Coconut milk-which concentration was 10 stimulated production of shikonin which content was 24 times of the control. The present paper deals with the karyotype analysis of Tsuga longibracteata Cheng endemic to China, which is a represent species of subgen. Paleotsuga, for the first time. The somatic chromosomes in root -tip cells of the plant are found to be 2n=24, all with median and submedian constrictions. The 12th chromosome of the karyotype has a long centromere region. In Clintonia udensis Trautv. et Mey, the ovule is of anatropous type, having two integuments. The nucellus is tenuinucellate with unicellular archesporium derived from the hypodermal cell at the tip of the young nucellus acting directly as the megaspore mother cell. The division of the megaspore mother cell results in 1+3 arrangement, the three nuclei in the chalazal end degenerate and fuse in various ways. Both species of Gymnotheca (G. chinensis Decne, G. involucrata Pei) have the chromosome number 2n=18, the basic chromosome number x=9, and show the round or rod-shape prochromosome at interphase. The root system of ginseng is a tap root system. One year seedling only has main root and lateral roots, and adventitous roots often arise from the rootstock when it is more than two years old. Therefore, ginseng root system includes main root, adventitous roots and their branches. Primary xylem of main root is triarch, lateral roots, adventitous roots and branches at all levels are mostly triarches, rarely diarch. Root system increase with age adding. Before dormacy the last branches wither and fall, and winter root primodia are produced in higher order branches near withered positions every year. Those are the base of formation of all absorbing roots next year. One year ginseng produces one ring (or two rings) secondary res-in ducts from cambium. Afterwords, one ring secondary resin ducts increase with age adding and the increasing becomes slowly from five year ginseng. Pollen grains of Brassica alboglabra Bailey, B. campestris L., B. oleracea var. botrytis L. and B. juncea (L.) Coss. were examined under LM and SEM. The result shows that the pollen morphology of those species and varieties above-mentioned is consistent basically, having subsphaeroidal to prolate 3-colpate pollen grains with coarsely reticulate exine sculpture; and the author disagree with Yang Ping etc^ view that the pollen grains in Brassica alboglabra are apolar, pantoporate and distinctly different from those of Brassica oleracea etc. of Brassica L.
Clarkeinda trachodes (Berk.) Singer is reported and illustrated from China for the first time. It has been found in Sri Lank, India, Malaysia, Indonesia and Southern Yunnan of China. The genus Clarkeinda may be a tropical Asian monotypic one, consisting of the only species according to the present data. The genus Metzgeria Raddi in China was originally treated as a single genus in the family Metzgeriaceae until 1984. In some early years before 1984, Y. Kuwahara (1966,1968), a Japanese bryologist, recognized this group to be distinct and treated it under four genera: Metzgeria Raddi., Apometzgeria Kuwah., Austrometzgeria Kuwah., and Apertithallus Kuwah.The present study concerns the family Metzgeriaceae in China, especially in South west-ern China. 7 species, 1 subspecies and 1 variety belonging to two genera are discussed and illus-trated, among which, the M. darjeelingensis Kuwah. and M. novicrassipilis Kuwah. are new re-cords in China. Also the key to species is given. Species affinis H.fargesii de Boiss.sed laminis ambitu ovato-lanceolatis，pinnatisectis 3-4-jugo-pinnatisectis,radiis paucis,6-13 differt. A var. collina differt foliorum laminis petiolisque omnino glabris, sepalis oblongis glabris tantum ad margines inferiores glandulis fulvidis parce obsitis, ad earum appendices ciliatis. 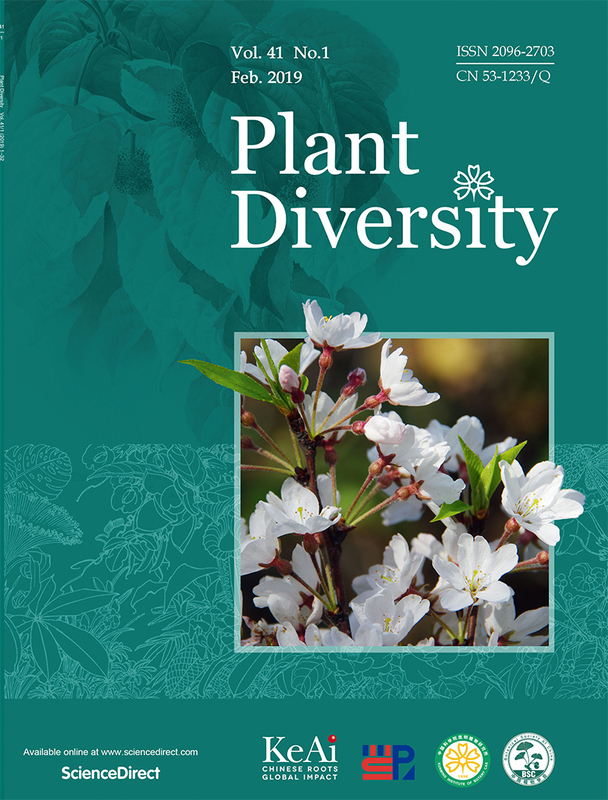 This paper had provided the fundamental information about the leaf architecture of 15 species in Albizia and 8 species in Cylindrokelupha from China, and discussed the taxonomic significance of the leaf architecture. It was found that it is quite different in leaf architecture between these two genera, so it is a good taxonomic feature for them. It showes mainly that in Albizia, quatenary (sometimes tertiary) and above veins to veinlets are well-distributed, many-branched and not proportional reduction in width from one order to the next, but are embedded by the sclerenchyma, and in the meantime the areolae are imper-fect in development but small in size, however, in Cylindrokelupha, quaternary and above veins to veinlets are well-distributed but distinguishable from one order to the next and not embedded by the sclerenchyma, and in the meantime the areolae are distinguishable but al-most medium in size.